Nothing like a little blackmail and opera music. Square Enix announced Hitman’s latest Elusive Target is no Helmut Kruger along with a new bonus mission set in Sapienza during a concert. The new elusive target is Walter Willams or better known as The Blackmailer. He’s an up and coming model with a tendency for blackmailing people. Williams apparently carries a flash drive full of scandalous material. The target will be walking the catwalk in Paris and most likely mingling with the crowd, and you’re tasked with taking out the model and retrieving the flash drive. This sounds like a job for Helmut Kruger. 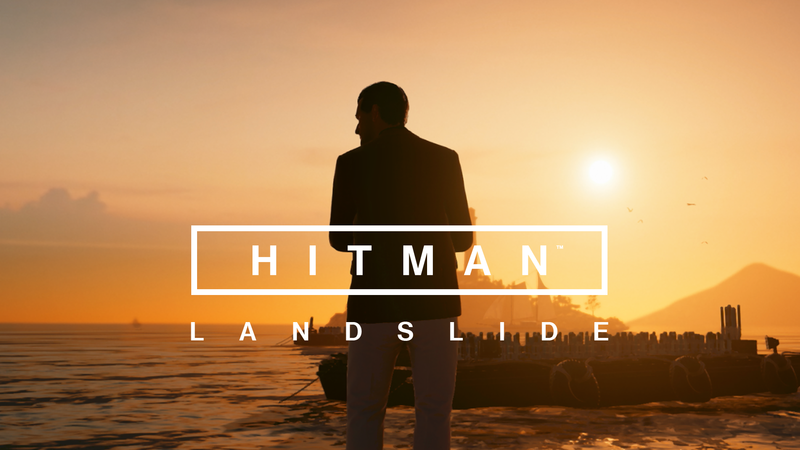 Landslide is Hitman’s latest bonus mission. Set in Sapienza, the local townsfolk have gathered in the piazza to check out a concert by the harbor thrown by Marco Abiatti, a politician with severe mafia ties. It’s up to Agent 47 to make certain that Mr. Abiatti’s political ambitions come to a violent end. The Elusive Target is live now and ends on February 6th. Hitman The Complete First Season – Steel Book Edition will be available on disc January 31st on Xbox One and Playstation 4. Original Soundtrack featuring the original game score. The ‘making of’ HITMAN documentary charting the journey from showing the game to our fans for the first time before E3 2015, through to the digital launch in 2016. REQUIEM Blood Money Pack* which includes the signature Blood Money white suit, white rubber duck and chrome ICA pistol. The PlayStation4 version includes the 6 additional exclusive The Sarajevo Six missions. *Please note the REQUIEM Blood Money Pack was a digital pre-order incentive and will be added to the disc, it will not be added to the digital season pass.